The end is near! The world? No, just the winter season. And what bears such glad tidings you wonder? Our native plant friends. In February, the Schuylkill Center staff took its monthly nature walk down Ravine Loop hunting for the first tell of spring, skunk cabbage (above). I’m happy to report that we found it on February 9th in a particularly wet area just above Smith Run where the little stone bridge crosses a semi-perennial tributary. Just barely visible was its little purplish hood, the forbearer of the true flower. The first source of pollen in late winter, skunk cabbage attracts bees and other hungry pollinators looking for their first taste of spring. What I find most remarkable about our native plants is the opportunity they give us to connect to the seasonal rhythms of nature and the world. 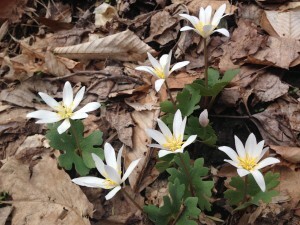 In April, I look for bloodroot; its delicate white flowers persisting only a few days before they are gone. In May, I wait for the phlox to emerge like pillowy tufts of clouds come down. In June, the summer blues are nothing to be concerned with as dense blazing star shoots to the sky with spikes of blue flowers. 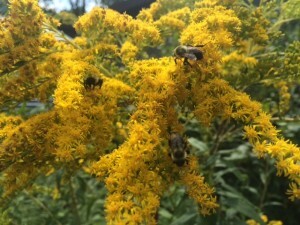 The rest of the summer is a symphony of colors, textures, and scents as wildflowers emerge, with a final crescendo of goldenrod and asters into the fall. As fall gives way to winter, I look for the yellow flowers of our native witch hazel to carry me through until the following spring. Even in the dead of winter, the silent sentinels stand vigilant; the American beech with its curled leaves persisting on the branches and the gleaming white trunks of the American sycamore. 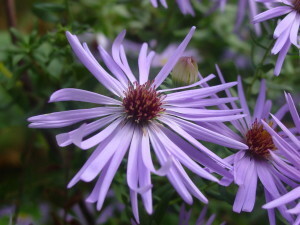 Native plants give us the chance to directly connect with the seasonal cycle. When winter days are darkest, we can take comfort in knowing that spring will come again. Our Spring Native Plant Sale is just around the corner—a great opportunity to stock up on your favorite plants or try something new. 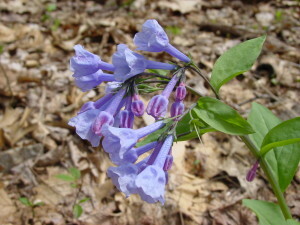 We’ll have a selection of wildflowers like echinacea, phlox, milkweed, cardinal flower, and bee balm, as well as native honeysuckle vines, plus blueberry bushes, hydrangeas, viburnums, and fragrant sumac. At the Member Exclusive: Native Plant Sale Preview on Friday April 27th, guests can sample a native-plant-inspired cocktail, and chat with an expert about restoring your lawn for biodiversity and native wildlife. 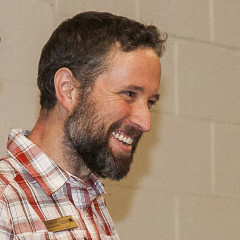 This entry was posted in Conservation, Events, Land Stewardship. Bookmark the permalink. Thank you for the picture of your skunk cabbage. I was looking for it this year and now I know why I could not find it. The flower does blend in with its surroundings. 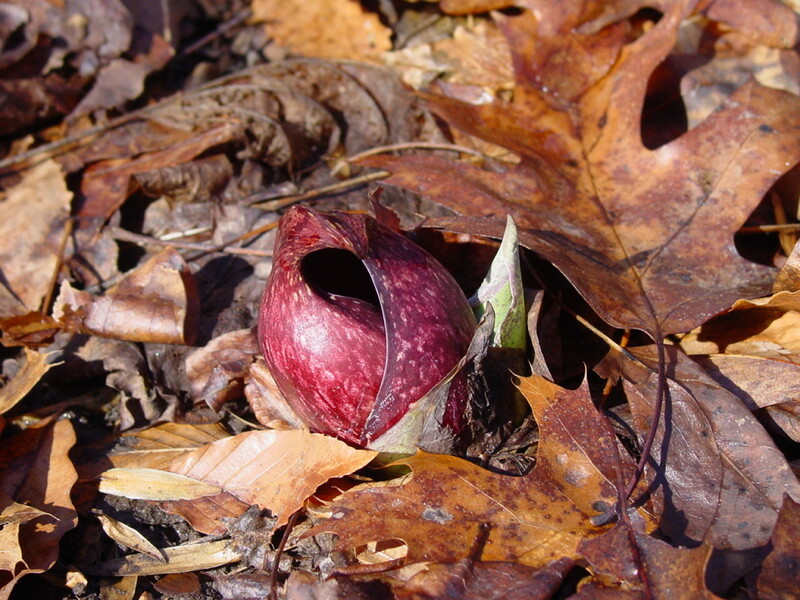 Of course—skunk cabbage is one of our favorite early spring sights! It quickly changes color and shape, as well—soon after the stage pictured above, it looks more like a typical bright green cabbage with its leaves unfurled.